The buy to let market -- and income investment property in particular -- is still a way for investors to generate both a healthy income and the potential for future capital growth. However, some properties and areas offer better advantages for cash flow generation, whereas others provide greater growth opportunities. If you're looking to increase your property portfolio or enter the buy to let market, which types of property should you invest in? However much money you have to invest, you need to ensure that you buy the right property for you. Some landlords are more concerned with the instant income that they can generate from a high yield property investment, but others are looking to create a substantial pension pot for their retirement. The most important consideration should be the potential rental yield of a property. This is the amount of rent generated annually shown as a percentage of the cost of the property. The basic principle of being a landlord is that you should take more in rent than you have to pay out on the property. This includes everything from the mortgage payments, to insurance premiums and maintenance costs. Flats and apartments are definitely a good choice for high yield property investment. However, ones with large ground rents or service charges are best avoided. These are all costs that will need to be covered by the landlord and may not be fully recoverable through rental income. Any additional costs that you have to pay will cut into your overall cash flow and profit. Buying an income investment property at auction can be an excellent way of generating a healthy income within a couple of months. They can usually be bought for less than the market value, which will instantly provide you with equity in the property. This will mean that you're relying less on the capital growth of the property to generate a future income. A good way of choosing a good property that will increase in value is to look for the next up and coming area. These postcodes often attract renters who can't afford the prices in the more sought after area, but still want to be close to the facilities and amenities. 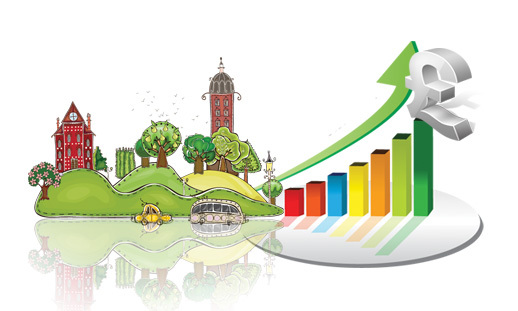 Areas that benefit from regeneration schemes are also worth investing in. Government money, as well as investment from new companies, will increase the number of people moving to the area for employment. When you're choosing a good rental area you need to look for somewhere that your target market wants to live, rather than somewhere you'd appreciate. For example, are you targeting students, young professionals or families? Each one of these groups will have different requirements from a rental property and you need to appeal to them directly. If you're buying a property that appeals to students, it may rent fairly easily and require very little redecoration. However, the areas these properties are in are generally inner city locations that may not see substantial capital growth. On the other hand, a more suburban property could attract longer term tenants, but they might be keener to have maintenance issues resolved. Whatever you're looking to gain from your investment, you should buy property that will rent quickly, rather than standing empty for months. Property Investment Blueprint offers packaged high yield property investment deals with big discounts -- you can sign up for our deal alerts here. Other types of high yield property investment you might like to check out are multilets and lease options. Article kindly provided by termlifeinsurancequotes.co.uk.